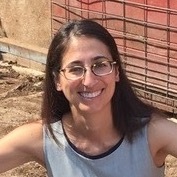 Dr. Niki Kalaf-Hughes is Assistant Professor in the Department of Political Science at Bowling Green University. She recently participated in our Wikipedia Fellows pilot cohort as a member of the Midwest Political Science Association. Here, she reflects on the experience. During one of my first experiences as a teaching assistant in graduate school, I was tasked with grading over 100 essays for an undergraduate foreign policy course. Sitting in a coffee shop, drinking an iced tea, and reading through these papers, I got to one with a phrase that did not seem like the student’s own work – the phrase was “reliable rocketry.” So, like anyone would, I googled the phrase, and a Wikipedia entry came up (side note: If you google this now, only screen grabs of the old Wikipedia page come up, as the current Wikipedia page has new language). Not only did the Wikipedia page come up, but it was identical to the next four pages of that student’s paper. Oops. The student earned a 0 on their paper (come on, don’t plagiarize your papers), and I learned a lesson – Wikipedia is just there for students to copy. I then proceeded to warn students away from Wikipedia for the next ten years. It’s possible I overreacted (though not by assigning the 0 – the student earned it). Even with all my anti-Wikipedia posturing, I was still a secret Wikipedia enthusiast. For work, if I couldn’t remember what session of Congress corresponded to what years – I went to Wikipedia. If I couldn’t remember what party a member of Congress belonged to – I went to Wikipedia. If I wanted to double check election data – I went to Wikipedia. For life, if I wanted to look up an episode of a TV show – I went to Wikipedia. If I couldn’t remember a historical fact – I went to Wikipedia. So, when I saw a call from the Midwest Political Science Association (MPSA) last fall recruiting for a new Wikipedia Fellows pilot, I was intrigued. How could I balance my dislike of Wikipedia in the classroom with my love of Wikipedia at home? Would their goals of having faculty learn “how to contribute to Wikipedia and, by the end, make a substantial improvement to at least two articles on a subject important to the Future of Facts” change my mind on Wikipedia and its educational possibilities? Short answer: Yes – sort of. So, after being selected for the Fellows Pilot, here’s what I learned. 1. It is both easier and more difficult than I expected to edit Wikipedia. Anyone can edit Wikipedia. This ease is one of the great features of Wikipedia, allowing people from anywhere with an internet connection to contribute their expertise. Just click edit and go! However, it is much harder to edit Wikipedia well and in a way that will make a meaningful contribution. There are a number of best practices to follow when making changes that ensure contributors don’t violate the collective norms. This goes beyond just proper citation. Rather, the Wikipedia norms include discussing proposed changes before making them, working in an incremental and respectful fashion, and justifying the edits. These best practices actually made me nervous about editing Wikipedia, as I was reluctant to jump into potentially contentious areas of debate. But, the fact that I was nervous, hopefully speaks to the high standards Wikipedia tries to keep. While Wikipedia is easy to edit, there is a behind-the-scenes world of discussion and seemingly automated fact-checking meant to ensure contributions are accurate. This ensures the material contributed is properly cited and does its best to prevent biased voices from dominating the page. For students and the general public, as the material on Wikipedia is properly cited, it could serve as a jumping off point for more in-depth research on a topic. 3. Wikipedia could use more scholarly contributions. If the goal of academic work is to advance knowledge on a particular subject, shouldn’t we make that work available? What Wikipedia could benefit from, and this is where the Fellows program comes in, is not just accurate information but the dissemination of scholarly research. Much of our research is hidden behind paywalls and not written in a way accessible to the general public. Wikipedia offers a way to distribute the knowledge from our discipline and attribute that knowledge to the scholars themselves. Interested readers can then link to the scholarly work to dig deeper. There’s a big caveat here – scholars can add to the discussion, but cannot highlight their own work, preventing Wikipedia from becoming a tool of self-promotion. However, Wikipedia cannot take the place of scholarly work. As a professor, it is important to me that my students engage with the scholarly literature in the discipline. Not just read a summary of the conclusions, but understand what peer-reviewed scholarly literature actually looks like, how it comes about, practice digesting the material, and then draw conclusions from what they have read. Relying on Wikipedia articles can’t do this. But what a Wikipedia with more scholarly contributions can do is provide links to relevant scholarly articles that are relevant to a student’s field of study. This potential for non-academic engagement with the literature is an area of relevance for scholars from and of underrepresented groups. This potential use for Wikipedia has already been written about by another Fellow, R.G. Cravens, but is worth noting again. As faculty, we know syllabi tend to disproportionately reflect the research of white men, which can lead to men being cited at higher rates than women (side note: hey faculty, to balance your syllabus – check out this tool from Jane Lawrence Sumner). Thus, Wikipedia may be able to offer another way to engage with the scholarship of faculty from and about underrepresented groups. Am I going to keep editing Wikipedia? Probably. Am I going to allow my students to use Wikipedia in the classroom? Maybe. I’m going to partner with Wiki Education for my fall course on the U.S. Presidency where students will write and edit Wikipedia entries as part of their coursework. Students will research course-related topics that are missing or underrepresented, synthesize the available scholarly literature (this gets at that goal of having students work with actual peer-reviewed, scholarly work I mentioned earlier), and add the information to Wikipedia. I’m excited about the possibilities here – both in terms of students gaining knowledge and getting a better understanding of when and how to use Wikipedia. I guess we will see how it goes!